Below you can view all the homes for sale in the Chimney Springs subdivision located in Marietta Georgia. Listings in Chimney Springs are updated daily from data we receive from the Atlanta multiple listing service. To learn more about any of these homes or to receive custom notifications when a new property is listed for sale in Chimney Springs, give us a call at 404-998-4102. 2 Blocks From Amenities (Clubhouse, Pool, Tennis, Playground, Etc) MLS#6532829. Virtual Properties Realty.Com. Neighborhood Amenities Include Club House, Swimming Pool, Tennis Courts, Playground, Walking Trails And A Lake. MLS#6534776. Keller Williams Realty Chattahoochee North, Llc. 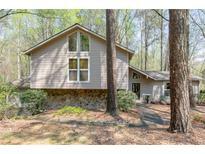 Screened Porch Off Kitchen!Well Maintained W/Newer Roof & Gutters And Sits Atop 1/2 Acre Lot Full Of Azalea'S And Dogwoods! Award Winning Schools! MLS#6529357. Dorsey Alston Realtors. The Corner Lot Has Many Mature Hardwoods, Providing Privacy And Shade. MLS#6527787. Realty One Group Edge. Small Loft Great As A Reading Nook Or Children Study Area. MLS#6525026. Atlanta Communities. A Lovely Screened Porch Overlooking The Shaded Yard Adds An Outdoor Entertaining Area. Must See. MLS#6521824. Berkshire Hathaway Homeservices Georgia Properties. Award Winning Schools And Active/Social Neighborhood! MLS#6521242. Compass. Finished Terrace Level For Additional Living Space. MLS#8532819. Keller Williams Atl.Perimeter. Room, Upgraded Full Bath And Bedroom. This One Won'T Last Long! MLS#6510623. Realty One Group Edge. Finished Terrace Level For Additional Living Space. MLS#6509982. Keller Williams Realty Atl Perimeter. Excellent Schools & Popular Amenities Like A Lake, Pool, Tennis Courts, Basketball Court, Paved Trails & Playground. MLS#6123238. Coldwell Banker Residential Brokerage. Chimney Springs Amenities Include Club House, Swimming Pool, Tennis Courts, Playground, Walking Trails Plus Lake. MLS#6040816. Berkshire Hathaway Homeservices Georgia Properties.